A 1952 Ferrari 212 Export Barchetta set a new model auction result when selling for €6.7 million at the 2015 RM Sotheby’s Villa Erba classic car sale in Italy. Eleven cars sold for more than a million dollars including seven Ferraris but the two headline cars failed to clear the reserve margins: the 1960 Ferrari 250 GT SWB Berlinetta Competizione and the 1961 Ferrari 250 GT SWB California Spider. RM Sotheby’s held its bi-annual Villa Erba classic car auction in conjunction with the annual Concorso d’Eleganza Villa d’Este on the shores of Lake Como in northern Italy on May 23, 2015. The auction featured 37 cars and with a sell-through rate of 90% achieved €26,7 million. Major disappointments were the failure of the two pre-auction highlights to clear the reserve margins: the 1960 Ferrari 250 GT SWB Berlinetta Competizione and the 1961 Ferrari 250 GT SWB California Spider. Bidding for the latter stopped short less than a million from the €11 million lower estimate and made the record-setting “Baillon” Ferrari looking increasingly expensive. Auction in euro, converted at €1=$1.10. Not surprisingly, Ferrari took the top honors at the Villa Erba classic car auction – 17 of the 37 cars on offer were from Maranello with 9 of the 15 cars with pre-auction estimates of over a million being Ferraris. 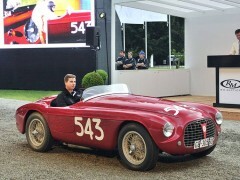 A new auction model record were set when a 1952 Ferrari 212 Export Barchetta sold for €6,720,000 ($7,400,736). This race-ready Ferrari became the unexpected star of the show when the two Ferrari 250s failed to sell. 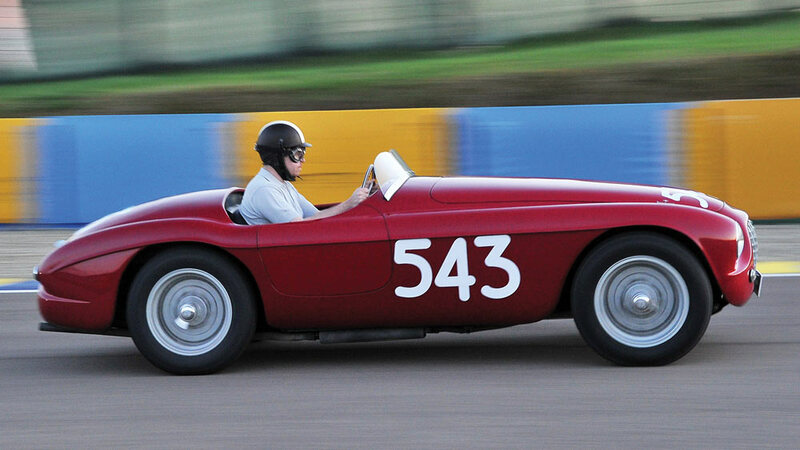 The Ferrari 212 had a successful early racing history and its participation in the 1956 Mille Miglia makes it eligible for the many historic races. Only four of the eleven cars selling for more than a million dollar at the RM Sotheby’s 2015 Villa Erba classic car auction were not Ferraris. A 1953 Fiat 8V Cabriolet Vignale sold for €1,120,000 ($1,233,456) – a good result as several 1950s Fiat at recent auctions failed to find buyers at Ferrari prices. This car was the only cabriolet built on the ten 8V chassis with coachwork by Vignale. A 1971 Lamborghini Miura P400S by Bertone sold for €1,010,000 ($1,112,313). This Miura was one of the last P400s built and has covered only 30,000 km since new. A 1973 Porsche 911 Carrera RS 2.7 Sport Lightweight sold for €1,008,000 ($1,102,810) at the lower end of the pre-auction estimate. It was only the second Porsche 911 to have sold for more than a million dollar thus far this year, although at least four others had similar or higher bids rejected. A 1958 Mercedes Benz 300 SL Roadster sold for €952,000 ($1,048,000) towards the upper end of the pre-auction estimate. Mercedes Benz 300 SLs continue to sell well at the around a million dollar mark but several at recent auction failed to achieve results in excess of $1.5 million. See also 2015 RM Sotheby’s Villa Erba Auction Preview for more photos and descriptions of the cars that were on offer.